I couldn't find any picture of her wearing them. 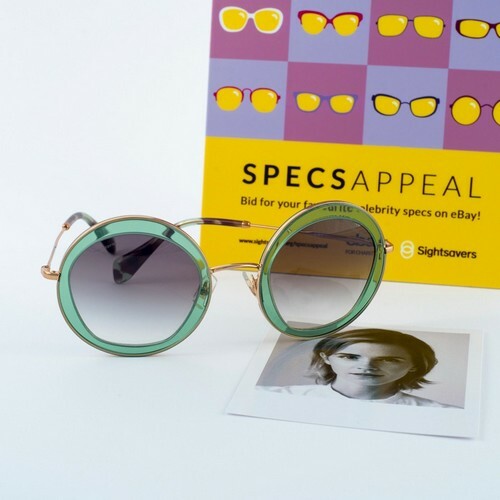 All profits from the auction will go to Sightsavers, an international development charity working in more than 30 countries to eliminate avoidable blindness and promote equality for people with disabilities. There are 3 days left to bid. The last one is at $257.50 for now.